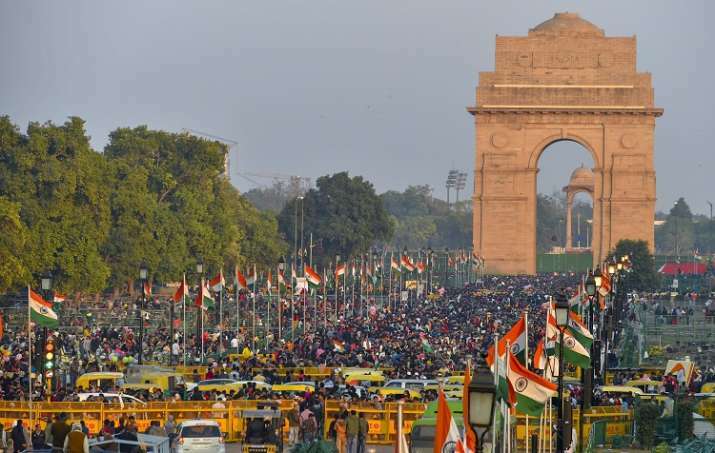 Celebrations for the 70th Republic Day began on Saturday when the ceremonial parade rolled down the majestic Rajpath here with South African President Cyril Ramaphosa as the chief guest, amid unprecedented security deployment in the city. Prime Minister Narendra Modi paid his tributes to the martyrs by laying a wreath at Amar Jawan Jyoti. Prime Minister Narendra Modi also greeted the people on the country's 70th Republic Day.